Unlike Borderlands 2, which charged co-op players with fighting over loot, Borderlands 3 lets each player see their own loot drops. “No more loot ninjas!” declared Scott Kester, art director at Gearbox, in a post on the PlayStation Blog. That’s a welcome change for me. I’m not particularly fond of fighting over loot in loot-based games, so knowing what I see on screen is for my character only takes a lot of stress out of proceedings. Meanwhile, Borderlands 3 has a new level-sync system that makes the experience scale for each individual player, so you can play with anyone at any time online or in split-screen regardless of level or mission progress. Each co-op player will deal “a meaningful amount of damage”, Kester said. This is another welcome feature, as it should make playing with friends a lot easier. 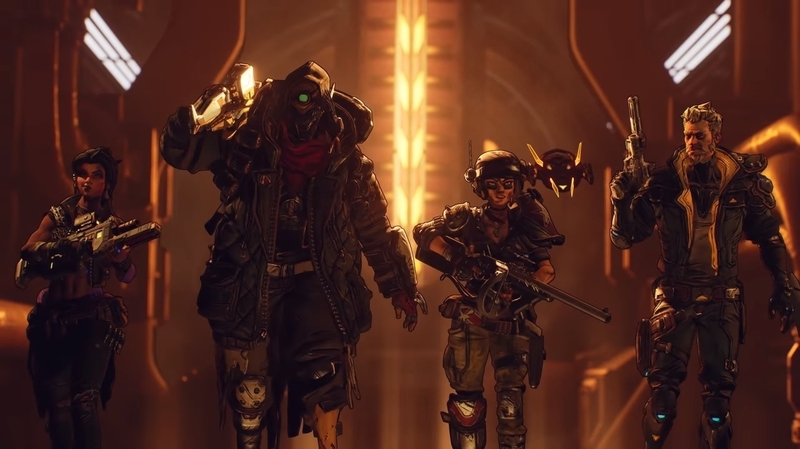 In Borderlands 3 you play one of four Vault Hunters: Moze as The Gunner; Amara as The Siren; FL4K as The Beastmaster; and Zane as The Operative.